Thats all. Game finished - Reims 1, Angers 1. Second Half ended - Reims 1, Angers 1. Cristian - Angers - won a free kick in defence. Missed chance. Farid El Melali - Angers - shot with right foot from the right side of the box is close, but missed to the left. Assist - Jeff Reine-Adélaïde. Substitution - Reims. Boulaye Dia for Remi Oudin. Corner - Reims. Conceded by Abdoulaye Bamba. Substitution - Angers. Farid El Melali for Angelo Fulgini. Offside - Reims. Marvin Martin with a pass, however Thomas Foket is in offside. Jeff Reine-Adélaïde - Angers - won a free kick in defence. New attacking attempt. Marvin Martin - Reims - shot with right foot from the centre of the box is saved in the top centre of the goal. Assist - Remi Oudin. Substitution - Angers. Cristian for Stéphane Bahoken. Goal! Reims 1, Angers 1. Pablo Chavarria - Reims - shot with the head from the centre of the box to the top right corner. New attacking attempt. Sheyi Ojo - Reims - shot with right foot from the centre of the box is saved by goalkeeper in the centre of the goal. Assist - Björn Engels. Shot blocked. Jacques-Alaixys Romao - Reims - shot with the head from the centre of the box is blocked. Assist - Marvin Martin with a cross. Corner - Reims. Conceded by Jeff Reine-Adélaïde. Vincent Manceau - Angers - won a free kick on the right wing. Corner - Reims. Conceded by Ludovic Butelle. New attacking attempt. Sheyi Ojo - Reims - shot with left foot from a diffucult position and long distance on the left is saved in the left corner. Assist - Ghislain Konan. Corner - Reims. Conceded by Vincent Manceau. Substitution - Reims. Sheyi Ojo for Moussa Doumbia. Björn Engels - Reims - won a free kick in defence. Corner - Angers. Conceded by Yunis Abdelhamid. 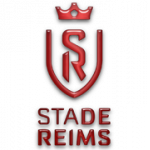 Jacques-Alaixys Romao - Reims - receive yellow card for a foul. Baptiste Santamaría - Angers - won a free kick in attack. Jeff Reine-Adélaïde - Angers - won a free kick in attack. New attacking attempt. Cheikh N'Doye - Angers - shot with right foot from the centre of the box is saved in the right corner. Stéphane Bahoken - Angers - won a free kick in attack. New attacking attempt. Angelo Fulgini - Angers - shot with right foot from the centre of the box is saved by goalkeeper in the centre of the goal. Assist - Jeff Reine-Adélaïde. New attacking attempt. Thomas Foket - Reims - shot with right foot from the centre of the box is saved by goalkeeper in the centre of the goal. Assist - Remi Oudin. Shot blocked. Remi Oudin - Reims - shot with left foot from outside the box is blocked. Assist - Marvin Martin with a head. Moussa Doumbia - Reims - won a free kick in defence. Missed chance. Marvin Martin - Reims - shot with right foot from outside the box is close, but missed to the left. Assist - Moussa Doumbia. Missed chance. Pablo Chavarria - Reims - shot with the head from the centre of the box missed to the left. Assist - Thomas Foket with a cross. Remi Oudin - Reims - hits the left post with a shot with left foot from the centre of the box. Assist - Moussa Doumbia. Thomas Foket - Reims - won a free kick in defence. Missed chance. Stéphane Bahoken - Angers - shot with right foot from the right side of the box is close, but missed. Assist - Angelo Fulgini following a fast break. Substitution - Reims. Marvin Martin for Suk Hyun-Jun. 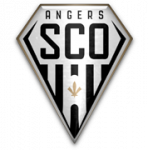 Second Half starts Reims 0, Angers 1. First Half ended - Reims 0, Angers 1. Shot blocked. Ismael Traoré - Angers - shot with the head from few metres is blocked. Assist - Stéphane Bahoken with a head. Corner - Angers. Conceded by Edouard Mendy. New attacking attempt. Stéphane Bahoken - Angers - shot with right foot from the right side of the box is saved in the left corner. Assist - Baptiste Santamaría. New attacking attempt. Stéphane Bahoken - Angers - shot with right foot from the left side of the box is saved in the top centre of the goal. Aly Ndom - Reims - won a free kick in defence. Offside - Reims. Aly Ndom with a pass, however Moussa Doumbia is in offside. 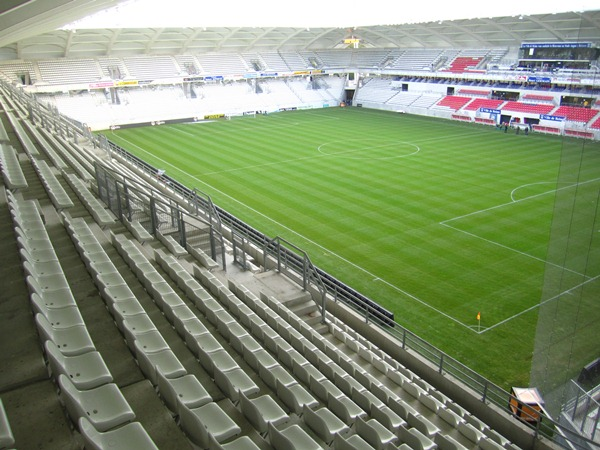 Offside - Angers. Baptiste Santamaría with a pass, however Angelo Fulgini is in offside. Shot blocked. Pierrick Capelle - Angers - shot with left foot from outside the box is blocked. Goal! Reims 0, Angers 1. Ismael Traoré - Angers - shot with left foot from few metres to the centre of the goal. Assist - Romain Thomas after corner. Missed chance. Romain Thomas - Angers - shot with the head from the centre of the box is close, but missed. Assist - Pierrick Capelle with a cross after corner. Missed chance. Suk Hyun-Jun - Reims - shot with left foot from the centre of the box is close, but missed to the left. Missed chance. Angelo Fulgini - Angers - shot with right foot from outside the box is close, but missed. Assist - Stéphane Bahoken. Pierrick Capelle - Angers - won a free kick in defence. Moussa Doumbia - Reims - won a free kick on the left wing. Missed chance. Moussa Doumbia - Reims - shot with right foot from the centre of the box missed to the left. Assist - Björn Engels with a head after corner. Corner - Reims. Conceded by Ismael Traoré. Missed chance. Cheikh N'Doye - Angers - shot with left foot from outside the box missed to the left. Assist - Angelo Fulgini. Shot blocked. Cheikh N'Doye - Angers - shot with right foot from outside the box is blocked. Assist - Jeff Reine-Adélaïde. Ludovic Butelle - Angers - won a free kick in defence. Offside - Angers. Vincent Manceau with a pass, however Stéphane Bahoken is in offside. Yunis Abdelhamid - Reims - won a free kick in defence. Baptiste Santamaría - Angers - won a free kick in defence. Romain Thomas - Angers - won a free kick in defence. Offside - Reims. Thomas Foket with a pass, however Pablo Chavarria is in offside. Corner - Angers. Conceded by Aly Ndom. Missed chance. Romain Thomas - Angers - shot with the head from a diffucult position on the right missed. Assist - Cheikh N'Doye with a cross. Baptiste Santamaría - Angers - won a free kick on the right wing. Stéphane Bahoken - Angers - won a free kick on the left wing. Offside - Reims. Remi Oudin with a pass, however Suk Hyun-Jun is in offside. New attacking attempt. Jeff Reine-Adélaïde - Angers - shot with right foot from the centre of the box is saved in the left corner. Assist - Cheikh N'Doye with a head.